Mega beer merger: should craft brewers worry? The rapid rise of craft beer is allegedly one of the reasons behind beer behemoth Anheuser Busch InBev’s plans to acquire SABMiller and, with it, nearly one third of the global beer market. 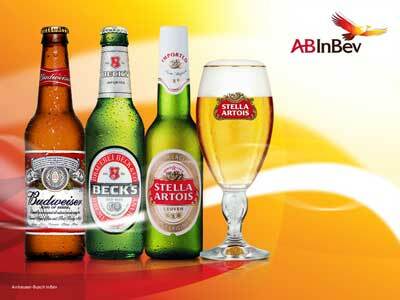 Belgium-based AB InBev – the world’s biggest brewer and the company behind international brands such as Budweiser, Corona and Stella Artois – has offered $104 billion US to acquire SABMiller, its nearest rival. SABMiller has its own vast stable of international beer brands that includes Peroni, Coors Light, Blue Moon, Pilsner Urquell, and many more. The deal, which has been agreed in principal after five attempts by AB InBev to get it across the line, reportedly comes in response to the bourgeoning craft beer market and a weakening of sales in the United States of America and Europe. “The global beer market overall is largely flat and in some regions is declining as other beverages such as wine continue to penetrate,” Warwick Business School professor John Colley has been widely reported as saying. However, the massive size of the merger could run into resistance from market regulators, most notably in the US and China, which will be concerned that the proposed deal would stifle competition in the beer industry and, ultimately, be negative for consumers. Experts say that it would give AB InBev more power to negotiate deals with suppliers, distributors and retailers – something that many craft breweries will be concerned about, as a big squeeze on distributors by AB InBev could mean fewer craft beers in stores and in pubs. US Brewers Association director Paul Gatza warned that if the deal went through, it could stem the growth of craft beer all over the world. However, he also said it could work as a rallying cry for the industry and fans of craft beer. Let’s hope he’s right about that.